This year, on the International Day for the fight against Breast Cancer, we will show our support for the cause hand-in-hand with the Catalan Association of Women Affected by Breast Cancer (Grup Àgata), www.grupagata.org. The association was created in 1995 with the aim of offering a support line to all those women affected by breast cancer who didn’t have enough information or support during their illness. Since then, its main mission has been to accompany the women and their families during the different phases of their illness through activities and services that help them to overcome this difficult situation. The cellar is promoting the “Pink Week” in solidarity with the cause, which means we are giving all the income received from visits, during the week from the 19th of October to the 25th of October, to the ‘Grup Àgata’ association. 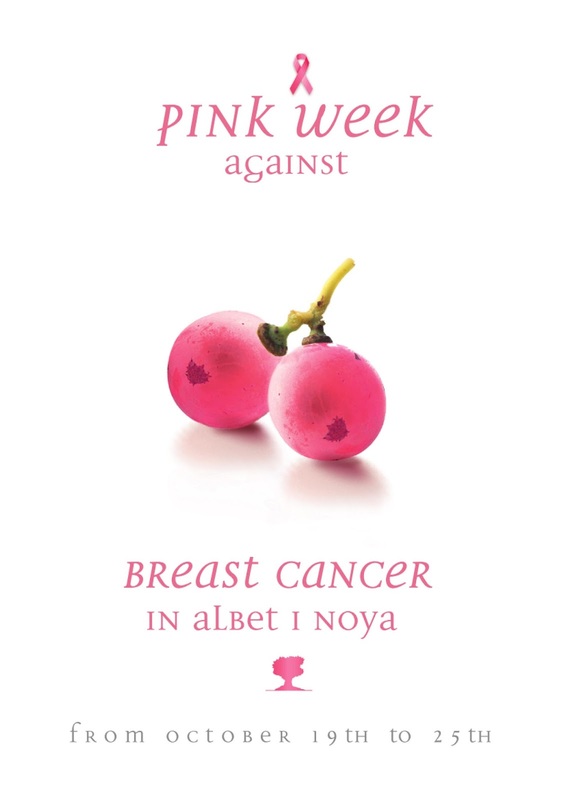 During this week, rosé wine or sparkling wine tasting will also be included for free, playing with pinkish colour that is associated with the illness. So, our small grain of sand with which we want to show our support to those women who have suffered or who are suffering this illness, and with which we hope to help to continue improving their lives during their recovery process. Good luck and lots of courage!